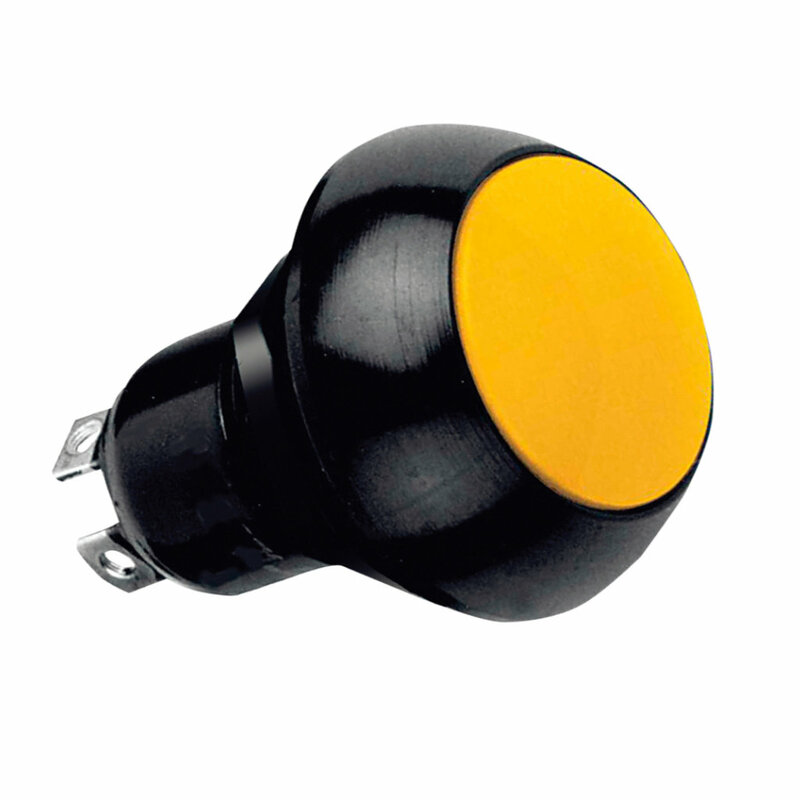 The P3-D series of sealed pushbuttons from OTTO are single pole switches with single or double throw, double break operation and momentary action. Electrically rated to 10A (resistive) at 115VAC/28VDC a mechanical life of 1 million cycles and an IP rating up to IP69K. The P3-D is designed to withstand extreme shock and vibration while giving a positive tactile feedback for the most demanding applications. The P3-D series of sealed pushbuttons from OTTO are single pole switches with single or double throw, double break operation and momentary action. Electrically rated to 10A (resistive) at 115VAC/28VDC a mechanical life of 1 million cycles and an IP rating up to IP69K. The P3-D is designed to withstand extreme shock and vibration while giving a positive tactile feedback for the most demanding applications. The P3-D has a threaded anodized aluminium case with contoured domed styling and flush or raised dome button available in a choice of 9 colours. The P3-D gives design engineers a switch with excellent mechanical and electrical performance in an attractive dome style perfect for applications such as Panel Boards, Control Grips, Computer Hardware, Instrumentation, Heavy Equipment and Off – Highway Vehicles.